Given the temps it’s a snowball type of day. I’m sure the number of days our local stand is open this year are numbered. I hate it when that happens because that is the sure-fire signal that winter is knocking. I guess I take unusual pleasure in that simple treat. It takes me back to feeling like a young man. 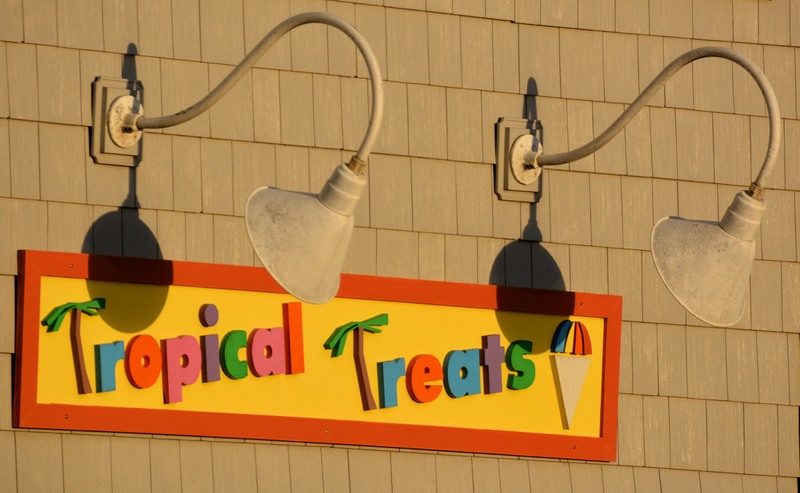 Just liked the shadow from the lamps on the sign. Ah, if life were so simple as enjoying a snowball after a days work and being satisfied. Of course life is far from that simple, but there are those moments after that first brain freeze because your eating it too fast, that life is that simple again where I’m sitting with my friends, my wife or my children. Maybe sharing a laugh with friends, maybe a glance/smile from my better half, maybe a hand squeeze from my daughter, maybe my excitement in figuring out what flavor my son will order and the “thanks dad” after that. You know there are always special things growing up that are kind of landmarks of memories that just go on. Our local snowball stand is one of those. I can’t remember how many times during the summer my better half would come home with one shortly after I had finished cutting the yard or other of the many yard chores with a large cherry snowball. Talk about heaven. So many more but you get the idea. Its been very cool living so close to that and passing it every day as we go about our lives. I look forward to it opening and lament it’s closing. But it is a good reminder of the hibernation season. So as I sock a few away in the freezer for a special day during the winter, I focus on its opening again this coming spring.